The SlimPower Wallet is so slim and lightweight that it fits in the palm of your hand. An angled Micro USB cable and “hidden” Lightning Adapter is integrated into the power bank. The wallet itself includes three card slots and an elastic band to hold bills or additional cards. 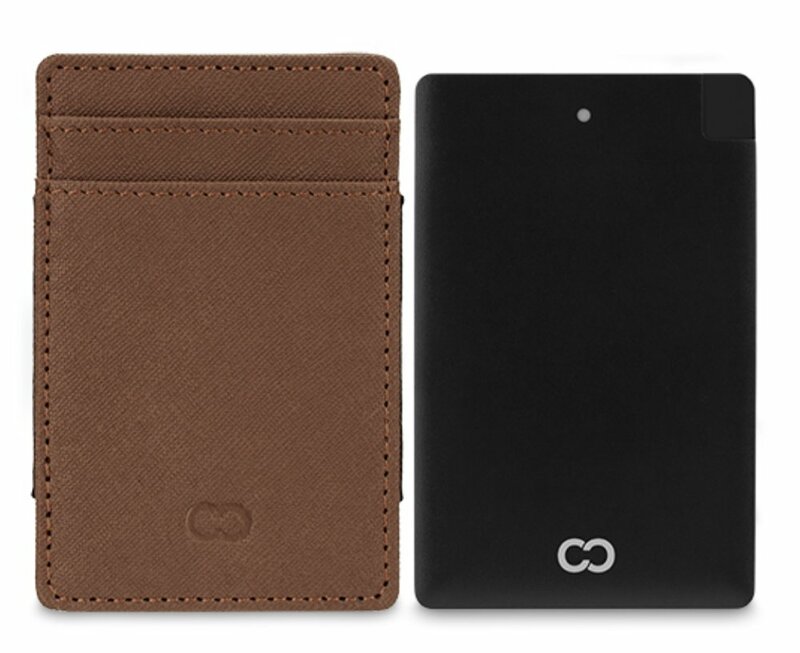 The SlimPower Wallet is available from CaseCrown, retailing at $30 ($35 for the black/genuine leather option).